Looking for finance advice? We help explain car loans and what your credit options are. 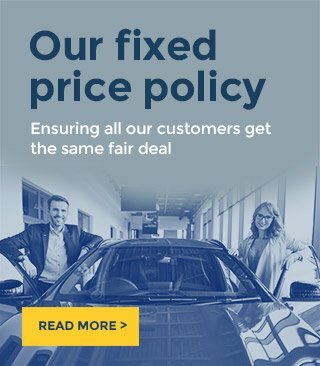 At Southlands Motor Company we aim to help our customers understand all the finance options that are available to them, before looking to tailor the finance solution that is best for their needs. That is why on this page you will find out all the information you will need. You can always reach us on 0191 2286315 to speak to our finance experts too. If you are looking to finance your next vehicle, there are 3 main finance options for you to consider. Please view our videos below to see which one best suits your requirements. Our six consumer outcomes explain what we want TCF to achieve for consumers. We will continue to use them as an important factor in guiding our responsibility to you, the customer. Consumers can be confident that they are dealing with a firm where the fair treatment of customers is central to our corporate culture. Products and services marketed and sold in the retail market are designed to meet the needs of identified consumer groups and are targeted accordingly. Consumers are provided with clear information and are kept appropriately informed before, during and after the point of sale. Where consumers receive advice, the advice is suitable and takes account of their circumstances. Consumers are provided with products that perform as firms have led them to expect, and the associated service is of an acceptable standard and as they have been led to expect. Consumers do not face unreasonable post-sale barriers imposed by firms to change product, switch provider, submit a claim or make a complaint. The APR shows the annual cost of a finance agreement over and above the amount you have borrowed. The APR will include interest rate charges and any other fees included in the agreement, such as administrative fees. By law, the APR must be shown on relevant documentation presented to customers in showrooms. You can use the APR to compare the cost of different finance products. A balloon payment is the lump sum (also known as a Guaranteed Minimum Future Value) deferred to the end of a finance agreement in Personal Contract Purchases, Lease Purchases or similar agreements. It completes the finance agreement and allows you to take ownership of the car. You may be obliged to pay a balloon payment under some agreements, while it is optional under others - so be sure to check which type of agreement best serves your needs. A credit agreement is a legally-binding contract between the customer and the finance company. It must include details of the loan amount, the term, rates of interest, other charges and your rights and responsibilities for the duration of the agreement. You will receive a copy of the agreement you have entered into. A part of the scoring system used by finance companies to help them decide how to price the risk of doing business with you, and arrive at a suitable interest rate. This means the same interest rate is charged for the duration of the agreement. This is the base interest rate charged on the finance. Dealers will sometimes quote a monthly or annual flat rate, but you should always ask for the Annual Percentage Rate (APR), which more accurately describes the true cost of the finance. The flat interest rate does not include other charges like any administration fees. If your car is involved in an accident, your insurer will only pay for its current market value. GAP insurance can help cover the difference between the market value of the car and the amount of outstanding finance under your credit agreement (Finance GAP), or the original purchase price of the car (Return to Invoice GAP). There are various types of GAP insurance on the market, so shop around and choose a product to suit your needs. This is where a percentage of the total cost of the car is deferred until the end of the contract. The forecast value of the car is assessed by the finance company at the beginning of the agreement. This is known as the Guaranteed Minimum Future Value. In agreements such as Personal Contract Purchase, it is important to be realistic with your estimates of how many miles you expect to cover each year as this will help determine the GMFV (as well as the length of the agreement). See also Balloon Payment. Hire purchase (HP) is a popular car finance product. When taking out an HP agreement, you pay an initial deposit, then a fixed monthly repayment over a set number of months. Although you become the 'registered keeper' of the car, you are only hiring it and you don't actually own it until you have made the final repayment (including any administration or option to purchase fee). Lease Purchase is a form of Hire Purchase agreement under which a sum is deferred until the end of the contract. This is determined by the projected age of the car and the forecast mileage. Unlike with Personal Contract Purchase (PCP) agreements, the deferred amount (also referred to as a balloon payment) is not optional and must always be paid. A voluntary payment at the end of some finance agreements (such as hire purchase) which, if paid, transfers ownership of the car from the finance company to the customer. Personal Contract Purchase (PCP) is a form of hire purchase agreement, which includes a voluntary "balloon" payment at the end. This final amount represents the future residual value of the car, based on the age of the vehicle at the end of the agreement and the forecast mileage. Monthly repayments are generally lower under a PCP agreement than a comparable HP agreement because of this deferred amount. With this type of agreement, payment of the future value of the car is optional. it must be paid if you wish to own the car outright, but you could simply decide to hand the keys back and start another agreement for a different vehicle. This is the length of time over which you agree to repay the amount of finance you have borrowed. This means that the interest rate can go up or down depending on the Bank of England's interest rate during the term of your finance agreement. This type of finance agreement is more common in the mortgage market.